If you're looking for a 'punch of color' this piece will take care of that nicely! Each lovely 'rounded edge diamond shaped link' is made in your choice of white or yellow gold or platinum and perfectly set into each is a brilliant, gemstone stone! The links are joined with simple, circle links, which are understated and elegant. 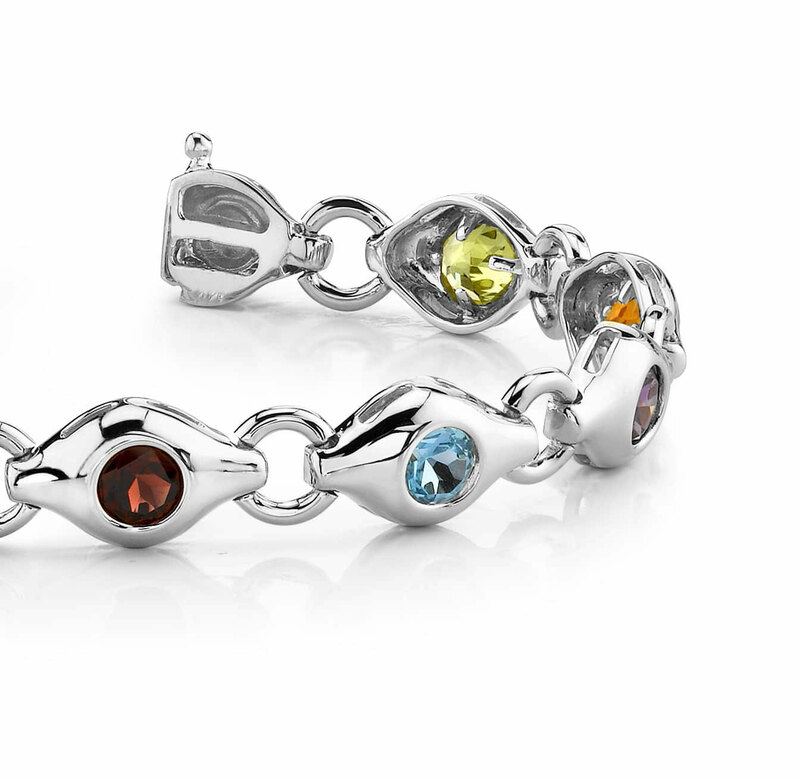 This bracelet features a sturdy clasp and will sit beautifully on the wrist. So go on, put a little color in your life! Effective Carat Weight: 5.00 ct.
Stone Carat Weight: 10X0.500 ct.